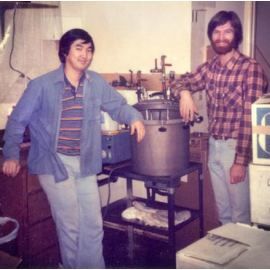 Hardy Media facility in Santa Barbara in 1980.
positions, Rob and Jay left their hospital jobs and committed full-time to the growth of their company. During the first three years, growth was confined to the Central Coast area of California. However, Hardy Media rapidly gained a significant portion of the regional market and began to pursue additional clinical lab customers along the West Coast. In 1984, Rob left the company to return to his family’s flower wholesaling business in the San Francisco bay area. With Jay remaining at the helm, the company continued to grow at the rate of about 30% each year, making it necessary to source more space. A search began for an appropriate city in the Central Coast area to meet the company’s growing needs. Santa Maria was chosen for its relatively low cost of living, motivated labor force, and quality of life. Four acres just north of the Santa Maria airport were purchased, and a 25,000 sq. ft. facility was completed in October of 1991. The new facility was designed with clean rooms utilizing state-of-the-art air handling systems to ensure production of top quality products. About the time of the move to Santa Maria, a decision was made to change the name from “Hardy Media” to “Hardy Diagnostics” to emphasize the numerous laboratory supply items the company provides in conjunction with its culture media. 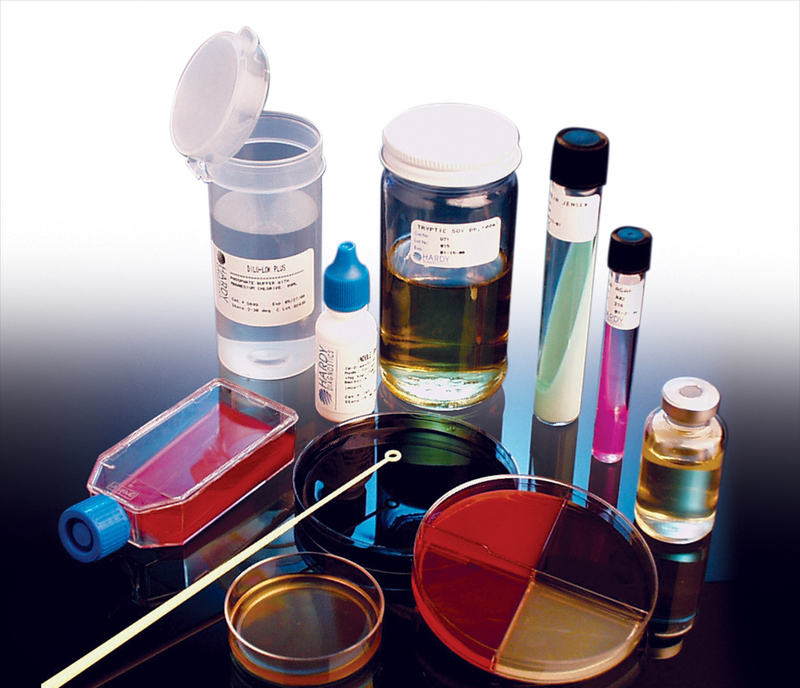 In 1996, Hardy Diagnostics was the first company to introduce chromogenic culture media to the United States. Chromogenic media assists the microbiologist in rapidly identifying microorganisms based on colony color created by the enzyme-specific compounds these bacteria produce. The result is uniquely colored colonies as pictured below. Hardy currently offers chromogenic media for the detection of E. coli, Staphylococcus aureus, Listeria, Vibrio, MRSA, coliforms, Candida spp., urinary pathogens, and drug resistant organisms such as VRE, CRE, and ESBLs. Chromogenic media remains a major focus in the Hardy R&D laboratory. Hardy was the first to introduce chromogenic media to America in 1996. In 1998, Hardy opened two new remote distribution warehouses: one in Salt Lake City, Utah, and one in Phoenix, Arizona. In 2002, Hardy opened another facility close to Tacoma, Washington. This completed the company’s coverage of the western United States and provided fast, overnight service to customers in those areas. At the beginning of 2005, a fifth distribution warehouse was opened in Ohio in order to better serve Northeastern and Midwestern customers. This provided another step towards nationwide distribution. Seizing an opportunity to export Dehydrated Culture Media (DCM) globally, the company began to blend powdered media in 1999. Hardy now utilizes its own powdered media for 95% of its prepared products and exports the balance to about 70 distributors around the globe. In 2003, Hardy became an Open Book Management (OBM) company, encouraging all employees to become involved in the company’s financial management. A quarterly Profit Sharing plan is an important part of this program, creating business partners of all employees and resulting in a workforce that is highly motivated to satisfy customers and to ensure the company’s long-term success. Ten years later, Jay Hardy sold the majority of his shares in the company to th e employees, creating an Employee Stock Ownership Program (ESOP). Since implementing the ESOP in 2013, each year employees are granted more shares of stock in the company so that all workers can enjoy the benefits of ownership. In addition to enjoying the potential gain from shareholder value, the ESOP promotes a feeling of pride-ofownership and further encourages employees towards a shared goal and company vision. Profit Sharing, Open Book Management, and Employee Ownership form the three basic pillars of the Hardy company culture. In June of 2005, the company completed a new building in Santa Maria on an adjacent lot that doubled the size of the previous facility to a total of 50,000 sq. ft. Also in 2005, the company achieved certification as an ISO 13485 facility. This globally recognized quality standard has opened many doors for expanded sales into pharmaceutical and foreign markets and appeals to customers who demand the highest level of quality and service. 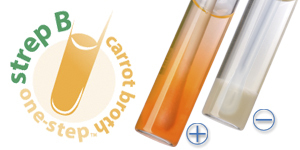 Again in 2005, Hardy released a very successful and unique product known as “Strep B Carrot Broth™.” Carrot Broth produces a quick orange color change in the presence of Group B Strep (GBS), a major concern in pregnant women as GBS colonization can result in neo-natal sepsis during delivery. At present, the Centers for Disease Control and Prevention (CDC) recommends that all pregnant women undergo screening for GBS colonization at 35-37 week’s gestation. Consequently, since Hardy Diagnostics launched Carrot Broth™, this product has been responsible for reducing the morbidity and mortality of thousands of infants worldwide. Carrot Broth™ is the first product that Hardy has had patented. Later in 2005, Hardy produced a new line of products known as “HardyVal™,” designed for hospital pharmacists to assist with proficiency testing of compounded sterile preparations. The HardyVal™ line helps customers test the ability of hospital personnel to aseptically prepare sterile solutions on a clean bench. In May of 2007, Hardy opened its sixth distribution center to increase its “next day” service to Texas, Oklahoma, Arkansas, and Louisiana. That warehouse is located close to Dallas in Irving, Texas. A third building (25,000 sq. ft.) in Santa Maria was also completed in 2008 to house additional offices, clean rooms, labs, and warehouse space. Following the new addition, the Hardy campus grew to a total of 75,000 sq. ft. of space. At the same time, the company initiated the use of online Certificates of Analysis to allow customers the ability to access quality documents 24/7. In 2011, the company made a significant commitment to its Midwest and Eastern operations by purchasing a new 47,000 sq. ft. building in Springboro, Ohio. The following year, work began on customizing the building to create Hardy’s second manufacturing facility. Over $2 million was spent on clean rooms and air handling systems. The ISO certified facility in Springboro now produces about 20% of Hardy’s products. Demonstrating its commitment to help preserve the planet, Hardy becomes a certified green business in 2012. In order to expand the nationwide distribution network, new warehouses were opened in Lake City, Florida (2010); Albany, New York (2011); and Raleigh, North Carolina (2014). These Eastern distribution centers are supported by the manufacturing facility in Springboro, Ohio. 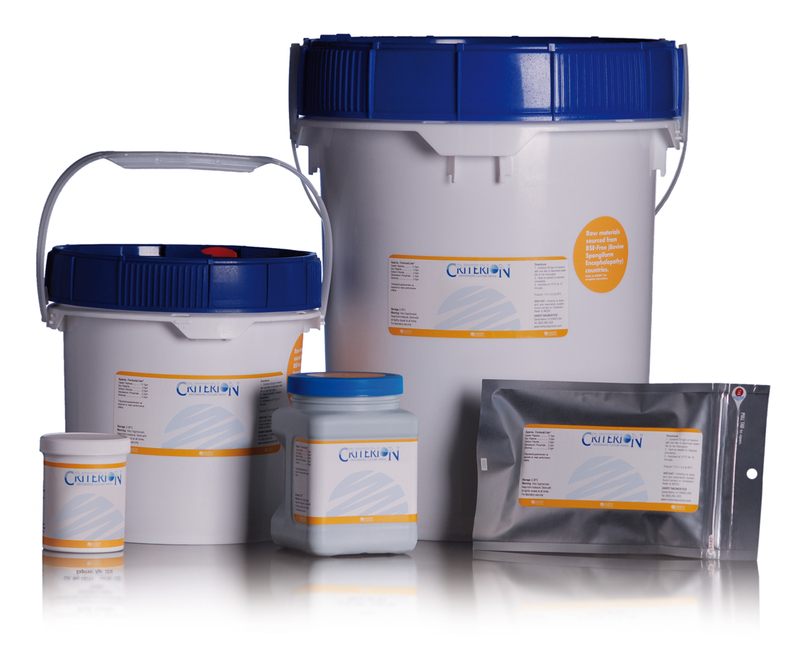 Hardy Diagnostics now manufactures over 3,500 culture media products for use in clinical, industrial, research, and academic laboratories. The company is licensed by the FDA as an “in vitro medical device manufacturer.” The quality control department performs growth, pH, gel strength, and sterility tests on each batch of media produced in compliance with the FDA’s “Good Manufacturing Procedures” and the Clinical Laboratory Standards Institute (CLSI) guidelines. In addition, the company’s quality management system is certified to ISO 13485 standards at both the Santa Maria, CA and Springboro, OH manufacturing sites. Culture media produced by Hardy Diagnostics accounts for 70% of the company’s income. The remaining 30% is from distribution of other laboratory supplies. Hardy Diagnostics is currently an authorized distributor for over 80 laboratory supply manufacturers. These supply items include diagnostic kits, laboratory glassware, plastic disposables, disposable gloves, pipettes, loops, control microorganisms, stains, reagents, rapid test kits, etc. Over 13,000 laboratory products are offered to customers throughout the United States. Over two million units are made monthly. Hardy Diagnostics currently maintains over 9,000 active customer accounts, which include hospitals, clinics, doctor’s offices, universities, veterinary clinics, food processors, biomedical research, pharmaceutical, environmental, water, and quality control laboratories. Hardy Diagnostics currently employs about 275 people, including a technical staff of microbiologists, Medical Technologists, and biochemists. Hardy’s microbiologists in the R&D lab are constantly looking for ways to improve products and create new ones to assist in the diagnosis of disease. In addition, the Hardy distribution network now consists of nine strategically placed warehouses throughout the U.S. About 80% of the nation’s population can now enjoy the benefits of next day delivery service at low cost ground rates. When orders are placed before 1:30pm, most customers can expect their shipment to arrive the next morning. In addition, there are 15 Regional Territory Managers that represent Hardy Diagnostics in the field. Many are experienced microbiologists and/or Medical Technologists who truly enjoy offering their assistance to their laboratory customers. Since the beginning, Hardy has always been an employee and community focused company. In addition to the OBM and profit sharing programs, the company strives to pay competitive wages and benefits, and actively promotes the health and well-being of its workers. Moreover, Hardy has a well developed 401(k) program with company matching, health and dental benefits, and an innovative workplace counseling program. Hardy has committed to giving back 1% of its earnings to the community and is actively involved in promoting and supporting a variety of community-based charities and organizations.